The Yankees will play their first game of a three-game series against the Texas Rangers tonight at Yankee Stadium. The game will start at approximately 7:05 p.m. The Yankees will be starting the same lineup that they did on Wednesday except that Slade Heathcott, who was called up from Triple-A Scranton when Jacoby Ellsbury went on the disabled list, will get the start instead of Chris Young. This will be Heathcott’s first career big-league start and he will be getting his first career at-bat. Slade, whose first name is Zachary, hit .285 with one homer, 17 RBIs and five steals in 37 games at Triple-A. Joe Girardi said that he wants Heathcott to take quality at-bats and play solid defense during his time with the Yankees. He will be able to play much better defense in right field than Carlos Beltran, which will probably lead to Beltran getting the day off on Saturday or Sunday. Michael Pineda will get the start for the Yankees on Friday night. He will need to bounce back from his previous start when he had his worst outing of his great season. In his start on May 15 against the Royals he allowed five runs on 10 hits in 5.1 innings while only striking out one. His slider was off against the Royals, which prevented him from striking out batters like he did against the Baltimore Orioles when he had 16. He is the ace of the pitching staff right now and the Yankees need him to pitch like he has for most of the season. Nick Martinez, who played second base and pitched at Fordham, will get a start in this series and will be back playing in the Bronx for the second time. He threw 5.1 shutout innings during his previous start at Yankee Stadium. Eovaldi doing pitchers’ fielding practice during spring training. The Yankees have an off day today and will open their regular season in one week (April 6). They finish spring training with six games in the next five days as they will play split-squad games on Thursday against the Detroit Tigers and Pittsburgh Pirates. They will play the Toronto Blue Jays at Yankee Stadium at 1:05 p.m. next Monday to open the season and will have another off day the day before. 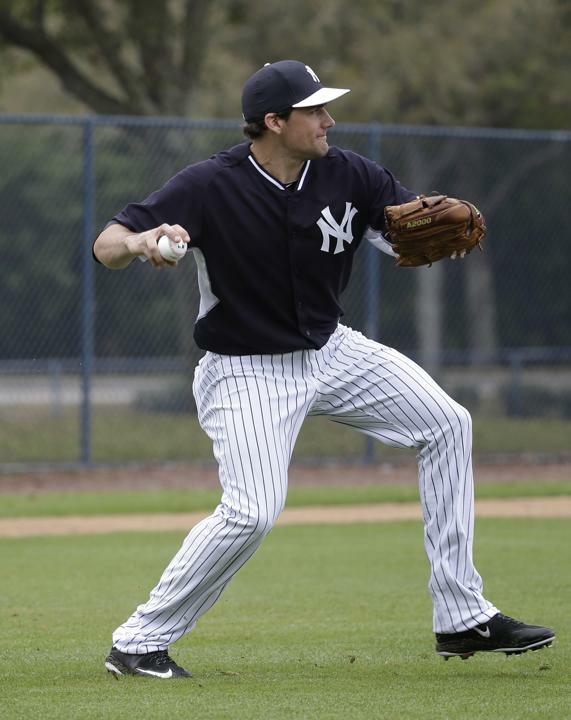 Nate Eovaldi made his third start of spring training on Sunday and fourth appearance overall. In the 7-0 Yankees win over the Houston Astros, Eovaldi allowed only three hits in 4.2 innings while striking out five and walking none. He retired the first two batters of the fifth and then was taken out of the game, but the only negative about his performance is that he needed 89 pitches to get through his 4.2 innings. However, after allowing the most hits in the NL last season, working with pitching coach Larry Rothschild has definitely worked for him in spring training as he has been nearly flawless. Eovaldi gave up a run in his spring debut but has been able to put together three straight scoreless outings since then, which has led to an outstanding 0.66 ERA in 13.2 innings. He has been able to pile up 14 strikeouts without walking a single batter. He has started to use his splitter more, which should help him allow fewer hits than he did last year. His hits/9 innings is much improved this spring as he has allowed 10 hits in his 13.2 innings (6.6 hits/nine innings), which is much better than the 223 hits 199.2 innings pitched he had last season (10.1 hits/nine innings). If he can continue to have a high strikeout rate and low walks and hits per nine innings he will be a very valuable No. 4 pitcher. The Yankees were able to total 11 hits in the shutout win and three of them were by third baseman Chase Headley. He hit his third homer and has been the team’s best hitter during spring training. He seems to be on track to hit like he did during his two months with the Yankees last season and not how he did previously with the San Diego Padres. Headley also hit a two-run single and emerging outfield prospect Slade Heathcott had an RBI single. Eovaldi will get his first official start as a Yankee in the first game of the series against the Boston Red Sox on April 10. On Tuesday, Opening Day starter Masahiro Tanaka will make his final spring training start when the Yankees play in Ft. Myers against the Minnesota Twins. This should never happen in baseball. It is unclear if something the catcher said provoked Heathcott’s fight with the catcher and ensuing brawl but it should have never gone to this degree. He was the 29th overall pick in the 2009 draft but might have been drafted sooner if not for his volatile personality. It is ironic that this fight happened the same day that the Yankees and Red Sox were beginning their three game series in the Bronx. 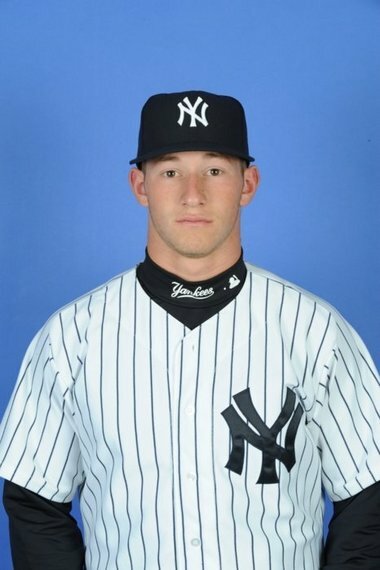 Heathcott had been hitting .312/.396/.504, with three home runs and 14 RBI for the Charleston Riverdogs so far this season. They are the Yankees Class A Affiliate. The Yankees have not shown much heart or tenacity so far the season, especially recently their five game losing steak, but nobody should go to the lengths that Heathcott did.